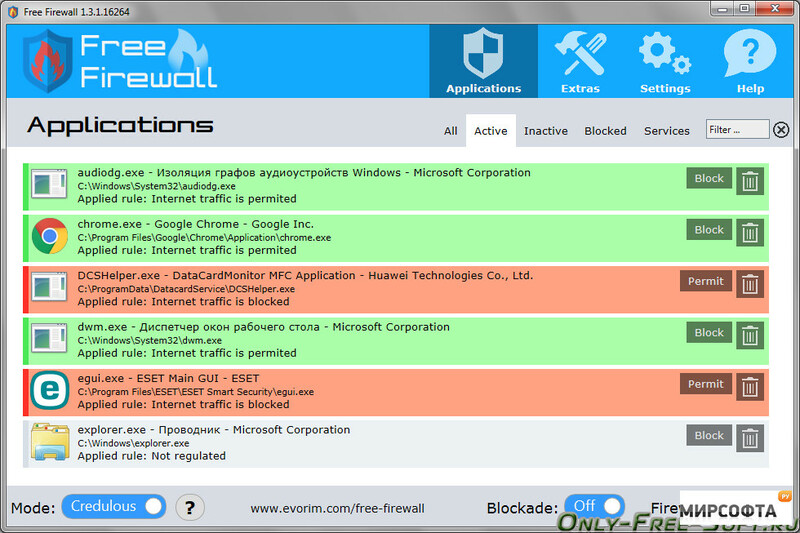 Evorim Free Firewall provides you with all the tools needed to protect against threats from the internet and more. Use your machine with confidence knowing that you will be notified if any of your apps attempt to access the internet. You have the option to switch modes from Credulous, which allows apps unlimited internet access, Paranoid, which will allow no access and Blockade, which will entirely block all apps and services. Additionally, while Evorim Free Firewall is on, if a non-regulated app attempts to access the internet, you will receive a popup warning informing you of the offending app. 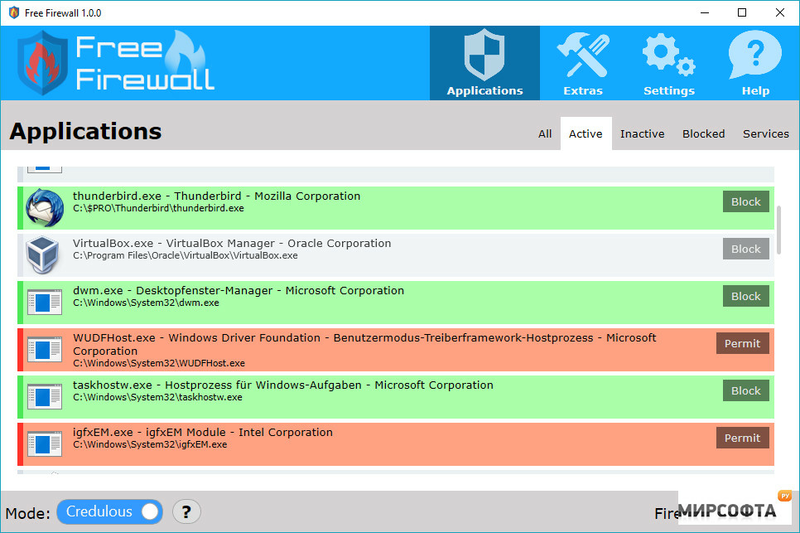 Evorim Free Firewall features a touch-friendly so you can use it on touch-sensitive devices and another nice built-in feature is its ability to prevent telemetry data being sent back to Microsoft's Server. Some other useful features include virus detection, botnet protection, and cooperative mode which allows it to work seamlessly alongside your Windows firewall without conflict.